Complete your cookware collection with these ten lovely stainless steel racks, perfect for roasting and cooling. 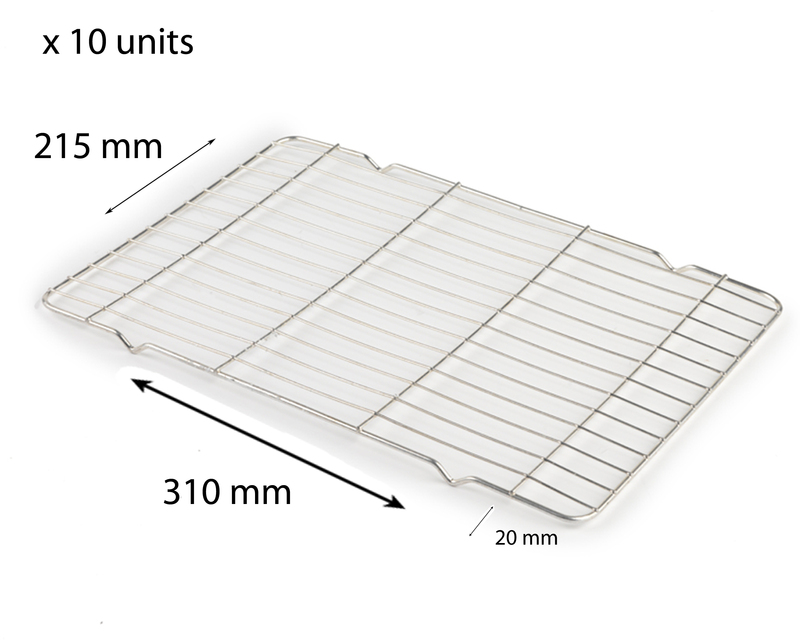 Conveniently sized, they will fit neatly into most oven pans in order to roast meat or vegetables, and can also be used as cooling racks for cakes. Practical and durable, these stainless steel racks are ideal for everyday use and are wonderfully easy to clean with just hot, soapy water. Perfect for any kitchen or cook, these racks are great additions to any home. Whether you are starting a cookware collection for a new home or replacing your existing set, these 10 racks are a great way to begin.